After completing my 30-hours of continued education this past summer I decided to outline some of the biggest changes to the tax code in over 25 years. Although the info provided below is only some of the changes, I felt these are the most significant to most of my clients. Along with these massive changes come many new compliance rules. I expect with the increase in I.R.S budgets passed in the new tax bill will lead to hiring new auditors. Expect many new audits within the next few years. These tax cuts are significant and will help many, however the compliance tied to these new deductions are significant and should be taken seriously. ​I thank you for visiting my website and want you to know that my devotion to learning these new tax changes and my commitment to finding all the legal loopholes when preparing your 2018 tax return has never been greater. Personal and Dependent Exemptions After Tax Reform. Taxpayers can claim an exemption for themselves, their spouse, and their dependents (if eligible). Each exemption lowers taxable income by $4,050 under current (2017) law. The TCJA has suspended all personal and dependent exemptions for tax years 2018-2025. S Corps and Reasonable Compensation March 9th, 2018 ClaudineS Corps and Reasonable Compensation: What’s Really Reasonable?Basics & Beyond™ offers many tax webinars to help you stay up-to-date on various topics. One of which is S corps and reasonable compensation. In the United States, corporations come in a variety of shapes and sizes. For many businesses, choosing to form a C corp versus an S corp is a huge decision, and a lot of thought goes into it. There are advantages and disadvantages to both forms of incorporation, and there a ton of variables to take into account when attempting to decide which one is right for a particular business. That said, many small- and medium-sized businesses (SMBs) end up opting to form an S corporation rather than a C corp, due to the tax advantages that an S corp can confer. Specifically, S corps act as pass through entities. This means that S corps aren’t taxed directly on their annual profits. Instead, these profits are “passed through” to the shareholders (owners) of the company. The profits are then taxed at the personal income tax rate of the shareholders. In contrast to this pass-through taxation structure, C corp profits are essentially taxed twice: once at the corporate tax rate, and then again after profits are distributed to shareholders. There’s an important caveat here, however: S corp distributions aren’t subject to payroll taxes. How can an S Corp reduce income tax liability?Imagine the following scenario. A small business owner forms a sole proprietorship. Her business earns $100,000 in profit, and all of this income is included in her federal income tax filing. She’s taxed at her personal federal tax rate for this income. In addition to this, she’s liable for payroll taxes (Social Security and Medicare). When you’re employed by a company, your employer is required to pay half of your payroll taxes, while you pay the other half. The total payroll tax amount is 15.3%. Therefore, as an employee, 7.65% of your income will be due in the form of payroll tax. However, when you’re a self-employed sole proprietor, you must pay the so-called self-employment tax: you’re liable for the entire 15.3%. In this example, the sole proprietor would owe $15,300 in payroll taxes. Now, imagine that this same person decided to form an S corporation instead. The S corp earns $100,000 in profit. However, rather than paying herself this amount as a salary, this business owner opts to distribute the entire profit. Because distributions aren’t subject to payroll tax, she no longer owes anything in payroll taxes. This amounts to a savings of $15,300. What is reasonable compensation? As stated on the IRS website: “S corporations must pay reasonable compensation to a shareholder-employee” as a means of compensating that shareholder-employee for whatever services she performs for said S corporation. This reasonable compensation must be paid out before any additional profits are passed through the S corporation in the form of distributions. In other words, it’s not possible for the owner of an S corporation to simply compensate themself in the form of distributions rather than salary, thus avoiding payroll taxes in their entirety. Reasonable compensation according to the IRSThe IRS spells this out in a rather complex fashion. Basically, here’s how they suggest you compute reasonable compensation. First, take into account where a company’s gross receipts — and, in turn, its profits — are coming from. Are they mostly derived from the labor of a shareholder-employee? Or, are they primarily coming from non-shareholder employees, capital, and equipment? If most of a company’s profits are derived from the services provided by non-shareholder employees in combination with the advantages of capital and equipment, then it’s sensible to distribute a significant portion of profits to a shareholder-employee rather than compensating them with a salary. While this is helpful in terms of the big picture, it still doesn’t provide us with a concrete sense of what portion of profits should be paid in the form of compensation versus through distributions. Under the new regulations, the individual who paysalimony to an ex-spouse will no longer be able to deduct those payments. And the recipient of the money will no longer pay taxes on that income. Thelaw applies to divorce agreements that are formed after the New Year. 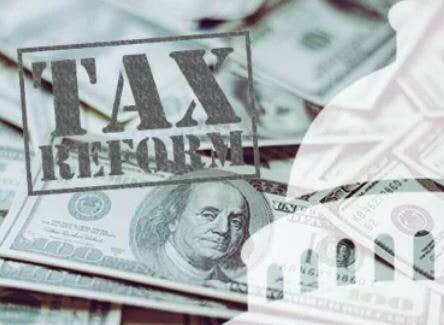 As tax reform efforts progressed late last year, there were high hopes that the dreaded individual alternative minimum tax (AMT) would be repealed. Unfortunately, it still exists under the new Tax Cuts and Jobs Act (TCJA). However, the AMT rules are now more taxpayer-friendly, and other TCJA changes reduce the odds that you will owe the AMT for 2018-2025. Here’s what you need to know about how the new-and-improved AMT for 2018-2025 stacks up against the prior-law version, which still applies for yet-to-be-filed 2017 returns. The AMT is a separate tax system with a family resemblance to the more-familiar regular federal income tax system. The difference is the AMT system taxes certain types of income that are tax-free under the regular tax system and disallows some regular tax breaks. The maximum AMT rate is “only” 28% versus the 39.6% maximum rate that applied under the prior-law regular tax regime and the 37% regular tax maximum rate that applies for 2018-2025 under the TCJA. For 2017, the maximum 28% AMT rate kicks in when AMT income exceeds $187,800 for married joint-filing couples and $93,900 for others. For 2018, the 28% AMT rate starts when AMT income exceeds $191,500 for married joint-filing couples and $95,750 for others. You are allowed an AMT exemption, which is deducted in calculating AMT income. The TCJA significantly increases the exemption amounts for 2018-2025. The exemption is phased out when your AMT income surpasses the applicable threshold, but the TCJA greatly increases those thresholds for 2018-2025. If your AMT bill exceeds your regular tax bill, you owe the higher AMT amount. Technically, the AMT liability is the difference between the tax calculated under the AMT rules and the lower regular tax amount. However in this column, I’ll try to make things easier to understand by calling the entire amount calculated under the AMT rules the AMT liability. Mike McVay, Pensacola Tax Accountant knows ATM and its limits. Beginning in 2018, taxpayers may only deduct interest on $750,000 of qualified residence loans. ... However, if the taxpayer used the home equity loan proceeds for personal expenses, such as paying off student loans and credit cards, then the interest on the home equity loan would not be deductible. The Tax Cuts and Jobs Act of 2017 (TCJA) eliminates the Affordable Care Act penalty beginning in tax year 2019. Because the TCJA makes other changes that interact with how the ACA penalty is calculated, taxpayers who expect to pay a penalty in 2017 and 2018 should be aware of the other changes as they estimate their tax liability. To get an estimate of how your taxes may be affected, visit our tax refund and tax reform calculator. With the new tax reform bill now effective, C corporations are better ... And because of the decrease in most individual tax brackets, even income that is passed-through to individual shareholders will be taxed at a lower rate. C-Corp rates for 2018 go from 35% to 21%. The Tax Cuts and Jobs Act (TCJA) added a new tax deduction for owners of pass-through entities – a 20% deduction of qualified business income (QBI) from a qualified trade or business. This new provision may potentially lower the maximum individual tax rate of 37% on pass-through income to 29.8%, which makes it more comparable to the new C corporation tax rate of 21%. However, the new law contains limitations that may reduce or eliminate the deduction for some business owners. What Is the 20% QBI Deduction?For tax years beginning after December 31, 2017 through 2025, the QBI deduction is 20% of QBI from an S corporation, partnership, sole proprietorship, trust or estate at the owner level. The definition of QBI includes only income associated with business activity conducted in the United States. It does not include reasonable owner compensation, guaranteed payments to a partner, or investment income (including capital gains). The 20% QBI deduction is computed separately for each business. Once combined, the 20% QBI deductions are limited to 20% of the individual’s taxable income in excess of any capital gains. Who Qualifies for the Deduction?Qualified trades or businesses include all trades or businesses except those classified as a “specified service trade or business” (SSTB). An SSTB is a business that provides services in any one of the following business types: health, law, accounting, actuarial science, performing arts, consulting, athletics, financial services, brokerage services, or any business where the principal asset is the reputation or skill of one or more employees or owners. Engineering and architecture services are specifically excluded from the definition of an SSTB and are considered qualified businesses. However, even income from an SSTB can generate a potential deduction if the taxpayer’s taxable income is under the threshold amounts discussed below. What Are the Limitations?Several limitations may apply to limit the potential deduction, depending on the owner’s taxable income level. First, the QBI deduction can’t exceed 20% of “modified” taxable income. For this purpose, taxable income is reduced by net capital gain (including qualified dividend income). Threshold AmountsIf the owner’s taxable income before the deduction is under $315,000 (married filing jointly) and $157,500 (all other filers), no additional limitations apply. This is true for any type of trade or business, including SSTBs. If the owner’s taxable income before the deduction is between $315,000 and $415,000 (married filing jointly) and $157,500 and $207,500 (all other filers), a limitation phase-in calculation is required. The limitation phase-in rules reduce or eliminate the 20% QBI deduction, depending on the owner’s taxable income level. Owners of SSTBs get no deduction if their taxable income exceeds these thresholds. The amount of the deduction is limited to the greater of 50% of the owner’s allocated share of W-2 wages, or 25% of W-2 wages plus 2.5% of the owner’s allocated share of qualified property used in the business. The definition of qualified property is generally based on the original cost of the property. Note that the passive activity loss and the at-risk limitations should also be considered in applying the new deduction rules. The new law also includes special penalties for taxpayers who understate their income through the misapplication of the new QBI rules. The tax law limits the amount you can deduct for depreciation of your car, truck or van. The section 179 deduction is also treated as depreciation for purposes of these limits. The maximum amount you can deduct each year depends on the year you place the car in service. The 2018 luxury vehicle tables appear below.1 The tables show limitations on depreciation deductions for owners of passenger vehicles (including trucks and vans) first placed in service during calendar year 2018, income inclusion amounts by lessees of passenger vehicles, and revised depreciation limitations and lessee inclusion amounts for passenger vehicles taking advantage of bonus depreciation under IRC Section 168(k). And, for tax years beginning after 2017, if a taxpayer in a real property trade or business elects to not be subject to the TCJA’s limits on business interest deductions, the taxpayer must depreciate all of its depreciable buildings, and its qualified improvement property, under the ADS. The child tax credit will be enhanced in 2018. It currently starts at $1,000 per child and is phased out for married couples earning over $110,000. Going forward, the credit doubles to $2,000 ($1,400 of which is a refundable tax credit), and income phase-outs apply to married couples earning over $400,000. The lifetime estate and gift tax exemption was essentially doubled — from $5.49 million per person to an estimated $11.2 million, with an inflation adjustment for future years. Double those figures for married couples filing jointly; they now have a household lifetime estate and gift tax exemption of $22.4 million. Because fewer taxpayers will be subject to estate and gift taxes, more opportunities exist to benefit charities. work clothes and uniforms (if required and not suitable for everyday use). None of these expenses are deductible during 2018 through 2025. Thus, you should seek to have your employer reimburse you for them. This reimbursement is tax-free as long as you properly document your expenses. Alternatively, you could seek a pay raise to help pay for these expenses, but such a raise would be taxable. rental fees for a safe deposit box. Tax preparation fees. Tax preparation fees are likewise not deductible for 2018 through 2025. This includes costs for hiring a tax pro or buying tax preparation software or tax publications. It also includes any fee you pay for electronic filing of your return. If you have a tax pro prepare both your personal and business taxes, ask for a separate bill for your business return. Reason: The fees to prepare your business return remain a fully deductible business expenses. Fees to fight the IRS. During 2018 through 2025, you may not deduct as an itemized deduction attorney fees, accounting fees, and other fees you incur to determine, contest, pay, or claim a refund of any tax. We suggest finding a Pensacola Tax Professional to prepare your 2018 Income Tax Return. Hobby expenses. A hobby is an activity you engage in primarily for a reason other than to earn a profit—for example, to have fun. Before 2018, hobbyists were permitted to deduct their hobby-related expenses up to the amount of hobby income they earned each year (but only expenses over 2% of AGI were deductible). The TCJA eliminates the itemized deduction for hobby expenses for 2018 through 2025. This means that you will not be able to deduct any expenses you earn from hobbies during these years. However, you still have to report and pay tax on any income you earn from a hobby! However, if your hobby involves selling goods to customers, you may deduct your costs of goods sold when calculating your hobby income. For example, if your hobby is making and selling pottery, you can deduct the cost of making each pot you sell from your hobby income. Mike McVay is a Federally Authorized Tax Practitioner in Pensacola Florida. McVay Business Services offers FREE tax advice by phone, email or in person.